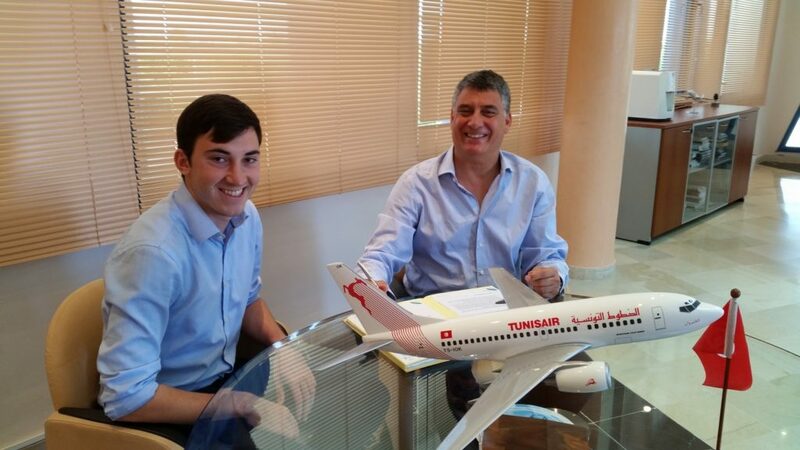 The technology company MOMook, developing management software solutions for aviation training centres, is announcing a service agreement with Aviation Training Center of Tunisia (ATCT). The two-year agreement, signed on 29th of September, includes the MOMook solution for company’s training scheduling, documents, and user management, syllabus manager, examination, reporting and student progress, warehouse and simulator maintenance. Emphasizing the role of technology in the recent past and today’s world, Mrs. Mohamed Mzah, the CEO of Aviation Training Center of Tunisia, said, “We are at the beginning of the new business principles where the flexibility, connectivity, automation and real-time information plays an important role. The clients’ behavior certainly has changed in the digital age too. We have already found out that our students want to plan their training sessions by themselves, they want to have an access to the training schedule anytime and anywhere, they want to have the tailored solutions. There are so many more things that are not the same anymore. In order to handle it, we need to implement the robust solution into our daily processes”, comments Mrs. Mohamed Mzah. Ms. Egle Vaitkeviciute, the CEO of MOMook, is happy to welcome ACTC to the increasing MOMook user community and also notes that various technology solutions simplify and optimize the management of the organization. “Due to the fact that aviation training is so complex, aviation training centres require a more advanced tool in order to manage this complexity. Accordingly, the applications such as Microsoft Excel are becoming less powerful and reliable. For the companies that are looking for the most efficient way to manage its daily operations, to be able to take into account all the specific clients’ request as quickly as possible or at least to ensure the seamless daily workflow of the employees, management software solution is becoming essential”. Ms. Vaitkeviciute presents real-life cases from the fields of aviation to illustrate how business can benefit from technology. She highlights how financially disadvantageous and time-consuming it is to create the training schedule using Microsoft Excel or how nearly impossible it is to avoid human errors while managing documents manually. Aviation Training Center of Tunisia and MOMook has signed a cooperation agreement for two years to use a web-based MOMook application. This allows ATCTs employees and its clients to access MOMook from any Internet-enabled device and location. Aviation Training center of Tunisia is pioneering the aviation training industry in Tunisia. Founded by the National Tunisian Airline Tunisair, Nouvelair Tunisie and Karthago Airlines, ATCT is a proud partner of Airbus and Thales. ATCT has established itself as a leader in innovative and effective training methods.